The fox says [Gauze] has some awesome new items for you to check out! The red kitsune markings come in light and dark for slink, lolas, phat azz, ghetto booty and more. You can change the tint of the tattoos, and they work with either light or dark skins. 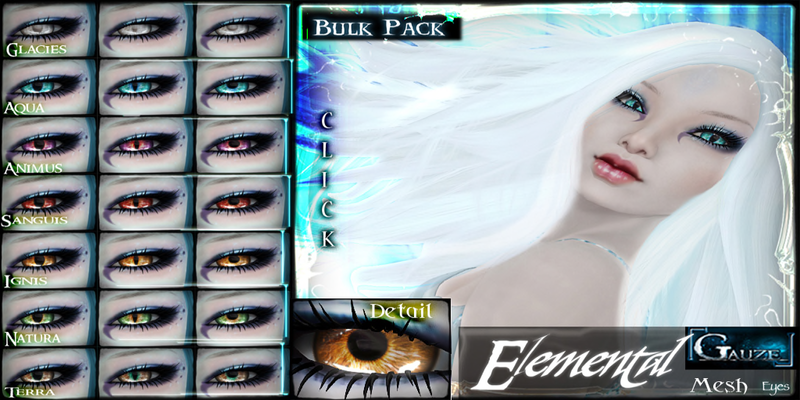 [Gauze] recently went on an eye quest and made these beautiful Elemental mesh eyes. The eyes are modifiable so that you can move their location and size to better fit your head.